In order to develop Scientific Awareness and to create, inculcate and sustain scientific attitude and temper amongst the students and common people, National Council of Science Museums (Ministry of Culture, Govt. of India) established District Science Centre, Purulia in the year 1982 at the North side of beautiful ‘Saheb Bandh’. The main objective of the centre is to popularize science through fun. At present the centre has following 4 permanent galleries and a science park. Wealth of Purulia: The 186 sq. meter gallery, with 30 interactive exhibits, depicts the wealth of Purulia in the field of Human Resource, Forest Resource, Small Scale Industry and Mineral Resource. There is also a Quiz Corner to back it up all. Popular Science Gallery: The popular science gallery has 40 hands-on interactive exhibits explaining different scientific principles. Science in this gallery is full of excitement all around. 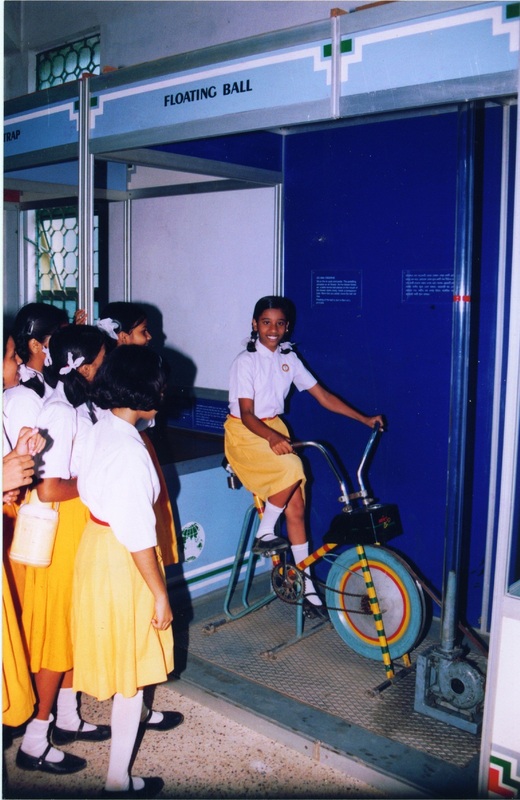 Fun Science Gallery: The Fun Science gallery at DSC Purulia comprises fun-filled, hands-on exhibits that allow the visitors to learn the basics of science through a process of interactivity and discovery. Children’s Gallery: This gallery is specially designed for the children aged between 4 and 11 years and all the exhibits are participatory in nature. Science Park: A life size model of a Dinosaur, Tyrannosaurus rex, greets visitors at the entrance of a lush green one acre Science Park. The park contains an array of 40 interactive exhibits dealing with some fundamental principles of science. There are also some animals like Python, Rabbit, Monkey etc. and some exhibits on Solar Energy in the Science Park. A mobile Science Exhibition bus with 24 fascinating science models entirely mounted on Museo Bus carries messages of science to the rural schools throughout Purulia and adjacent districts. The centre organizes science fair, science seminar, science drama competition, science quiz, popular science lecture, Vacation Hobby Camp, Computer awareness programme, commemoration of important days/events etc. for school children. The centre also organizes Teachers’ Training Programme for Teachers. The Centre conducts various science shows every day for general public and students. The shows include Taramandal show (Planetarium show), 3-D Science Show, Unexpected Science show, Science Magic & Miracle Show, Super Cool Bodies Show, Science Demonstration Lecture, Sky Observation and Bird watching. These shows, full with demonstrations, present a fascinating science thereby making learning of science a joyful experience.